A blade for the player who wishes to have the qualities of a carbon blade with the best possible control. A markedly thin blade (inner ply 2.5mm, total thickness about 4.7mm), which reminds on the first generation of carbon blades, with an interesting ply structure. The soft Tanne combined with a medium hard Ayous inner ply creates extremely good control. PBO fibre/carbon plies ensure stability and a larger sweet-spot. The robust Akazie outer plies produce great resistance. 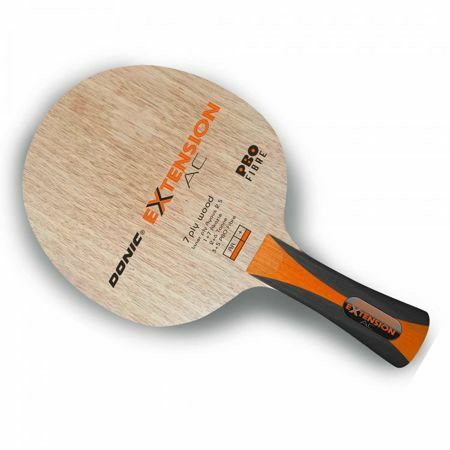 A blade for the player who wishes to have the qualities of a carbon blade with the best possible control.